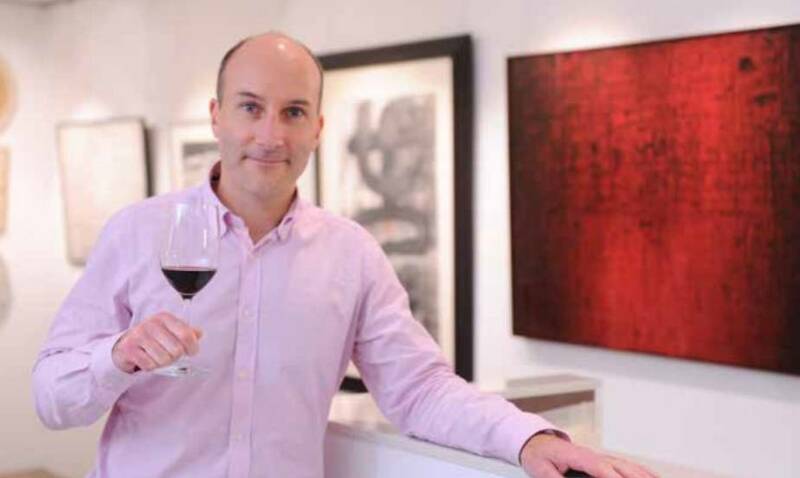 Promoted earlier this year as International Director, Specialist in the Wine Department, Tim Triptree is in charge of Christie’s activities across Continental Europe, Asia, and the Americas. Tim joined Christie’s Wine Department in 2005 after graduating with an MBA Distinction (Wine Business Management). He is also a Master of Wine, one of only ten to qualify this year. In January 2013, he was seconded to Christie’s Hong Kong working in the Asian market and becoming Head of Sales, before returning to London in January 2017. 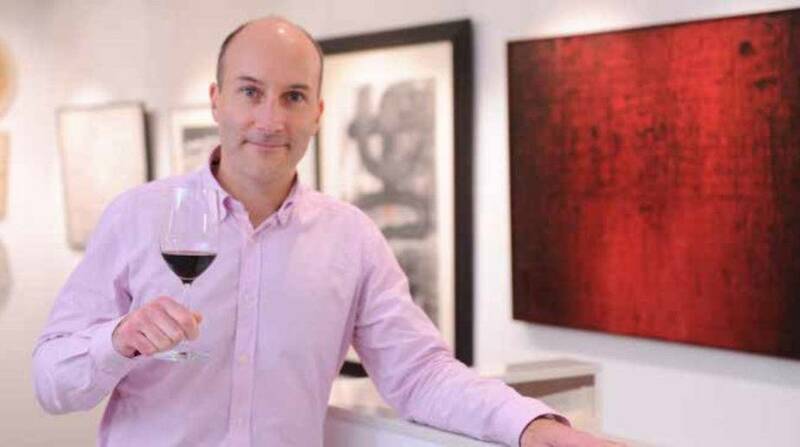 Reva K Singh interviews Tim Triptree, uncovering some fascinating nuggets of information about fine and rare wines. Founded in London by James Christie in 1766, Christie’s Auctioneers has auctioned some of the finest and rarest wines and spirits from around the world. What has changed now that it is owned by Group Artémis? We have opened new offices and sales locations – such as the Middle Eastern operation in 2006 – which is less a priority for my department but had a massive impact on the overall operation of the company. We have increased our Hong Kong operation from 40 to over 140 people and the wine sales and client bases have expanded dramatically. Shanghai is another new market and Moscow and neighboring countries were a strong focus for the company as of 2005. But nothing has changed the auction world as much as July 2006, when we launched Christies Live, our real time online bidding platform. Thanks to this we can be reached by anyone in the world for any of our 350 yearly auctions! Christie’s is the world’s leading auction house with a long history in fine and rare wines. Was wine always a part of Christie’s business? Indeed, it was. 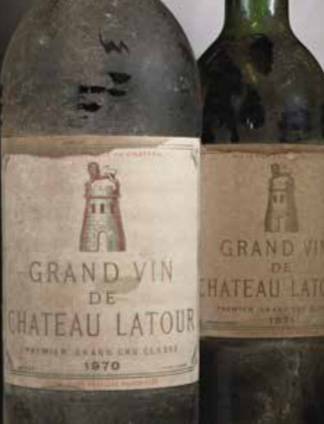 Several fine wine lots were included in the first-ever auction held on 5 December 1766 by James Christie and several more have since not only been auctioned but also consumed in thousands of boardroom lunches held over the past 252 years! How would you define fine wine? There are many definitions of a fine wine and what qualifies for a fine wine. In my opinion, fine wines are those that are collectible and that have the ability to evolve and improve with time – ageing in bottle and appreciating in value. Not all fine wines are expensive; there are wines at many price points that qualify as fine wines, ranging from the most expensive, such as Domaine de la Romanee-Conti and Château Latour, to more affordable wines such as Mosel Riesling and Loire Vouvray. Are fine wines still relevant in today’s society? Fine wines are extremely relevant and the continued success of wine auctions today demonstrates how many people collect wines. Here are just some interesting examples of fine wines that have inspired generations. In 1760 Louis François de Bourbon, the Prince of Conti, competed at an auction against Louis XV’s mistress, Madame de Pompadour, to purchase the La Romanée vineyard in Burgundy. Paying over the odds, he succeeded, appended his name to the vineyard – and reserved the entire production for his own consumption. The nearby La Tâche vineyard which was part of that original sale was subsequently sold off and then reacquired by Romanée-Conti in 1933. It is unequalled in its production of exquisite, feminine and perfumed Pinot Noir. The 1993 vintage is a warming infusion of red-berry fruit and subtle spices, overlaid with a filigreed tannin that will ensure it endures for decades to come. Then there’s the Chapel of Saint Christopher – La Chapelle as it has come to be known – which is the holy grail of Rhône vineyards. In 1224 Gaspard de Stérimberg, a knight returning from the crusades, built a small stone chapel on the hill of Hermitage. Vines were planted in the following years and the reputation of the wines they produced led to Louis making Hermitage the chief wine served at the Royal Court. In 1889 Paul Jaboulet bought 2.83 hectares of the Hermitage hill, although it was not until 1919 that he added La Chapelle to his portfolio. 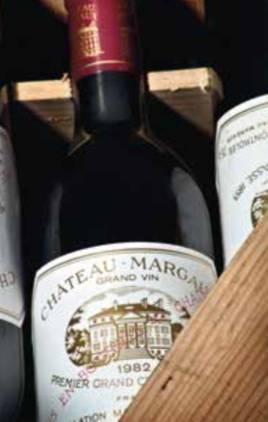 In 2006 David Elswood and Michael Broadbent, MW, of Christie’s, tasted a magnum of the fabled 1961 at the Hotel Metropole in Monte Carlo. Broadbent described it as ‘bullet- proof’ and ‘priceless’, noting its evocation of autumn leaves and a sensational sweet and silken texture that flows over chunky damson and rich strawberry fruits. For yet another fine wine example, take Domaine Leflaive, Montrachet 2010, a famed Grand Cru vineyard in the Côte de Beaune that is home to the most fantastic, age-worthy white wines in the world. Straddling the Puligny and Chassagne communes, Domaine Leflaive’s plot is in the more masculine Puligny side with scree-like soil, which may have led to the site being named Scabby Hill, the English translation of Mont-Rachet. Until her untimely death in 2015, the estate was run by the Grande Dame of Burgundy, Anne-Claude Leflaive, who pioneered biodynamic viticulture, and in 2014 was named Winemaker’s Winemaker by the Institute of Masters of Wine. The 2010 is a titan of a wine, a pulsating sinew of acid around which lemon peel, apricot, peaches, and verbena revolve. Has fine wine widened its traditional base to include a wider demographic in today’s more inclusive society? Wine auctions fall under Christie’s luxury category, which attracts year-on-year the highest numbers of new clients. This year, 18% of our new clients came from wine auctions in the first half of 2018. Our total wine sales in the first half increased by 14%, giving us the leading position in the fine wine auction sector. This reflects a growing customer base for fine wines. Our Top Lot was 12 bottles of Romanée-Conti 1988. 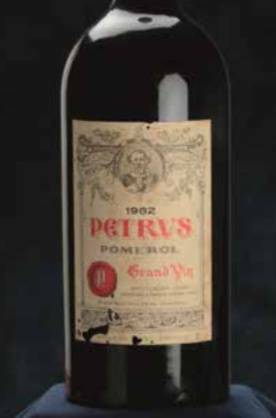 Against an estimated price of £150,000 to £180,000, the price realized was £264,000 featuring wines direct from Grandi Cru d’Italia Estates in London, on 15 March 2018. What is your view of Moët and Chandon producing a champagne to drink with ice? What do you think of this style? This style of Moët and Chandon would not feature in a fine wine auction. We generally sell vintage Champagne and Prestige Cuvées at auction, such as Dom Pérignon and Charles Heidsieck. 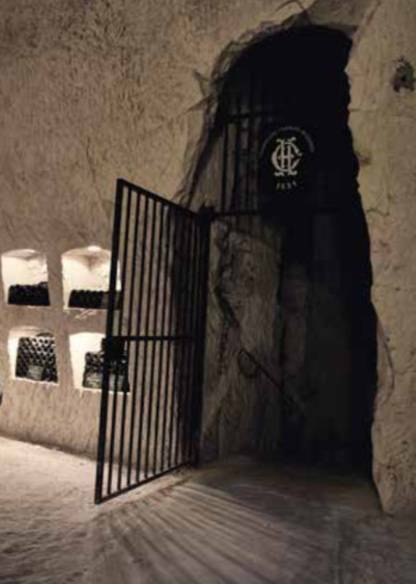 Charles Heidsieck’s 2000-year- old underground chalk- pit cellars in Reims. “I see stars’”, was the famous utterance of the Benedictine monk, Dom Pérignon when he discovered bubbles in his champagne. Since 1959 Dom Pérignon has been issuing perhaps the finest example of rosé champagne on offer. The 1971 is the sixth vintage and magnums are now as rare as hen’s teeth. This glorious wine is packed with citrus peel, ginger and sumac spice, a mature evolving liquid draped over a fine backbone of acidity. In late 2017 Christie’s offered for the first time Charles Heidsieck. 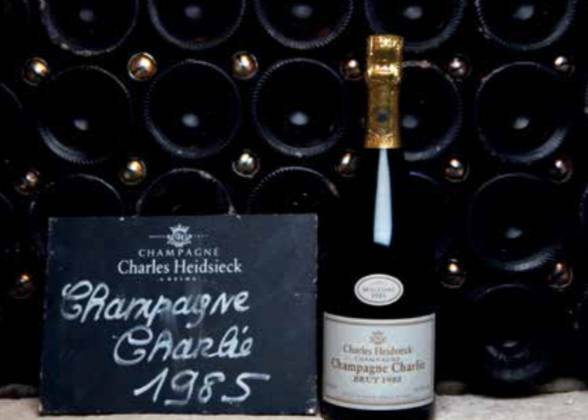 Anthony Hanson, MW, described it as “a Sleeping Beauty among Grandes Marques champagnes” when Christie’s announced its historic sale of rare Charles Heidsieck vintages directly from the house’s œnothèque, where they had been stored, some for more than 50 years. Is Christie’s interested in the fine wine market in India? It’s a challenging market, to say the least, and requires patience. Christie’s was the first international auction house to open a representative office in India in the early 1990s and is still operating from the same office, near the Taj Mahal Hotel in Mumbai. Through Sonal Singh, Christie’s country head for India, and her team we are developing new clients and are seeing more active participation from Indian collectors in our London and Hong Kong Fine Wine auctions – a very encouraging sign! Besides auctions, what other events does Christie’s conduct? Since the 1990s, Christie’s has had its own academy where future employees and many children of our clients will be educated about the latest trends in the arts, including wine tasting classes! Christie’s Education has recently also launched online courses in English, Arabic, and Mandarin – check it out. Furthermore, there is Christie’s International Real Estate with about 150 affiliates around the globe. Many clients like to sell houses with contents, others who have bought a house, wish to furnish it with exceptional art pieces – a perfect synergy between Christie’s Art and Christie’s Real Estate. Finally, are Christie’s auction events as popular today as they were when the auction house was first founded? Our founder James Christie changed forever the way to conduct an auction. He understood its potential entertainment value and thereby generated accessibility to new clients and their collections. The collections of Yves St Laurent and Pierre Bergé, Princess Diana Dresses, The Estate of Marilyn Monroe, the property of Elizabeth Taylor, the Giacommettis from Hubert de Givenchy, the Leonardo da Vinci sale of his Salvator Mundi, the Collection of Peggy and David Rockefeller… I could continue for hours. All these named collections were auctioned in the last 20 years! We have also added a new way of reaching the entire world by introducing online sales and the possibility to participate online in our auctions. As leader of the market, you always need to take the next step forward!